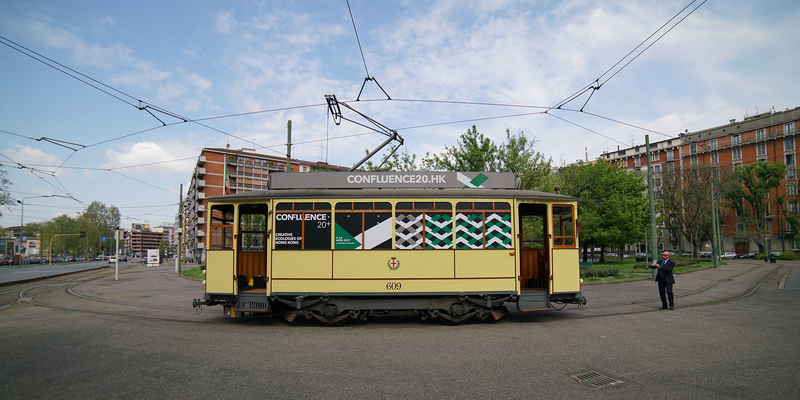 Poetic Tram Ride invited visitors to board a 25-minute tram ride for a time-defying experience in the city of Milan. 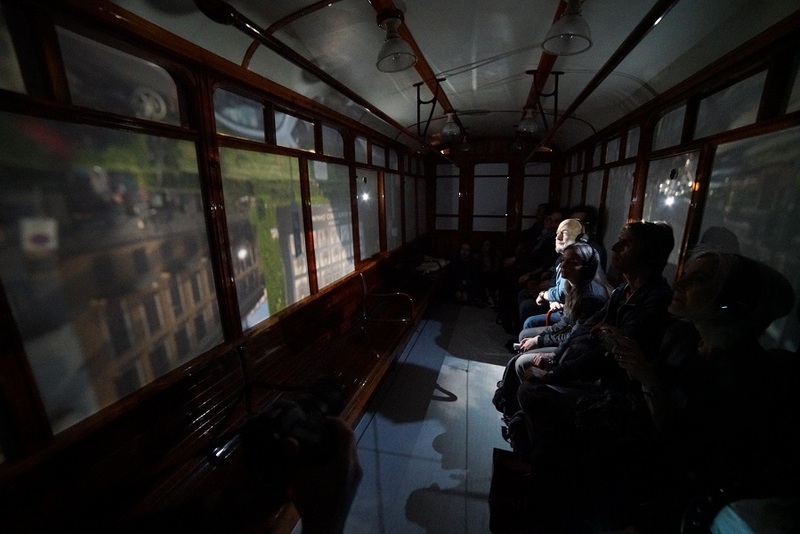 From 4-6 April 2017, a historical tram was converted into a massive moving camera obscura, where passengers on board can enjoy a cinematic experience of the street life of Milan. As the tram goes, the rolling images and moving lights of the picturesque cityscape offer an upside-down experience of the city’s awe-inspiring heritage and modern glamour unlike any other. Running in parallel to the real ambient sounds of Milan and a gentle rocking of the vehicle in motion is a narrative extracted from novella, creating a time-travel experience that stimulates reflection on the perception of the lost and gain of time. This Poetic Tram Ride is an “exhibit” titled 25 Minutes Older, created by Hong Kong interdisciplinary designer Kingsley Ng. Ng is keen on capturing the multi-facet intersections between art and daily life through various media and formats in his experiential experiments and interactive installations. His contribution to Confluence • 20+ follows his conceptual inquiry into the ephemeral and the intangible, past and present, connection and alienation.